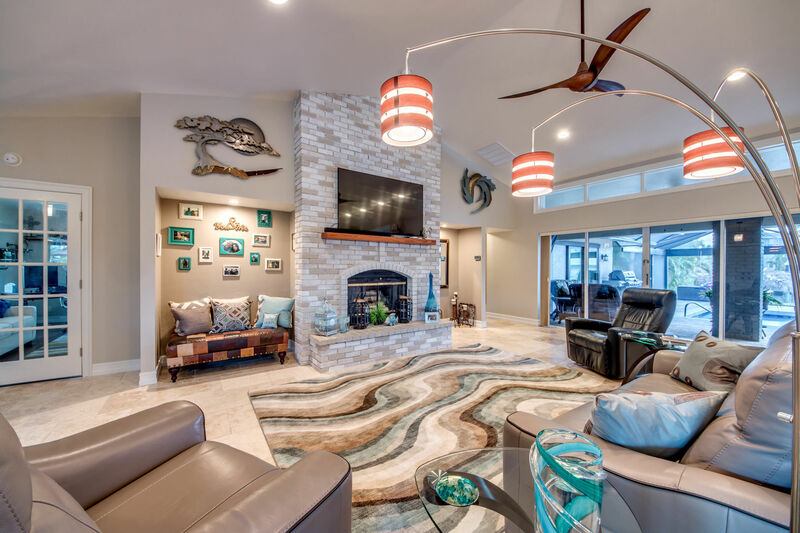 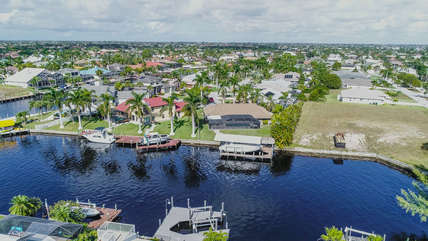 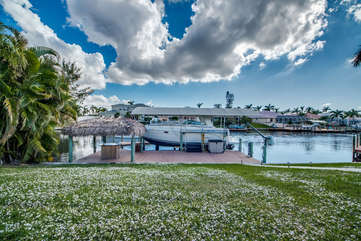 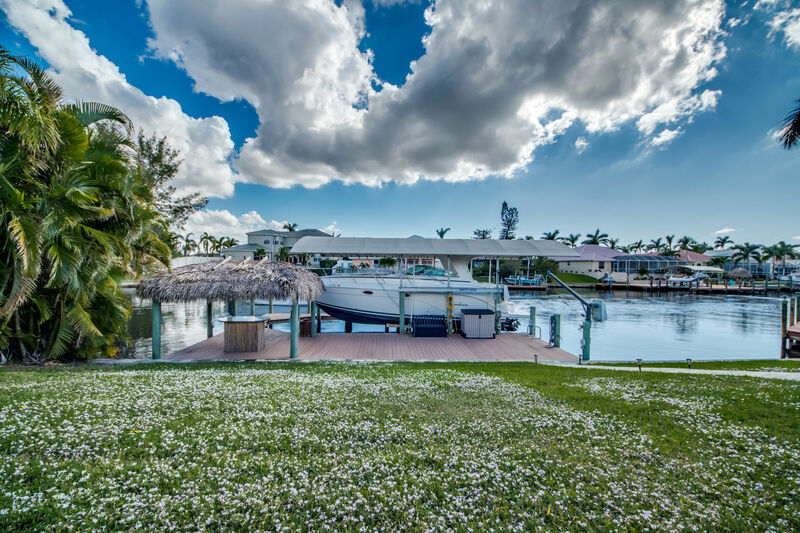 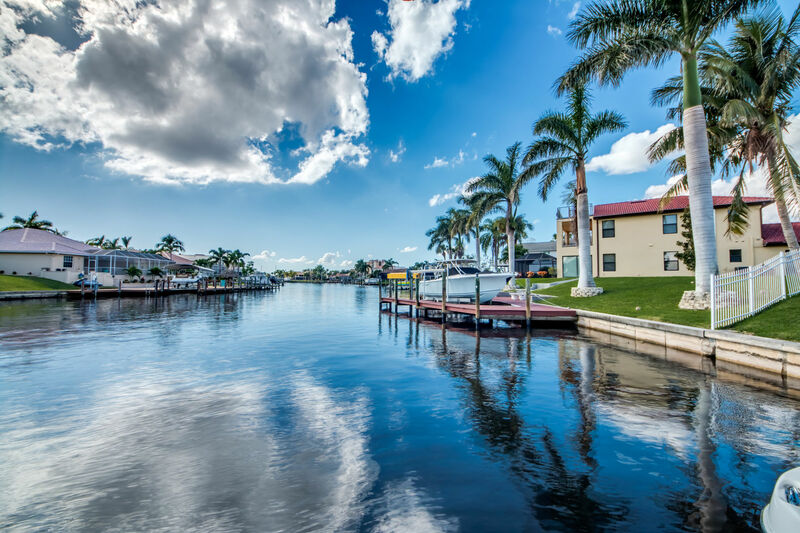 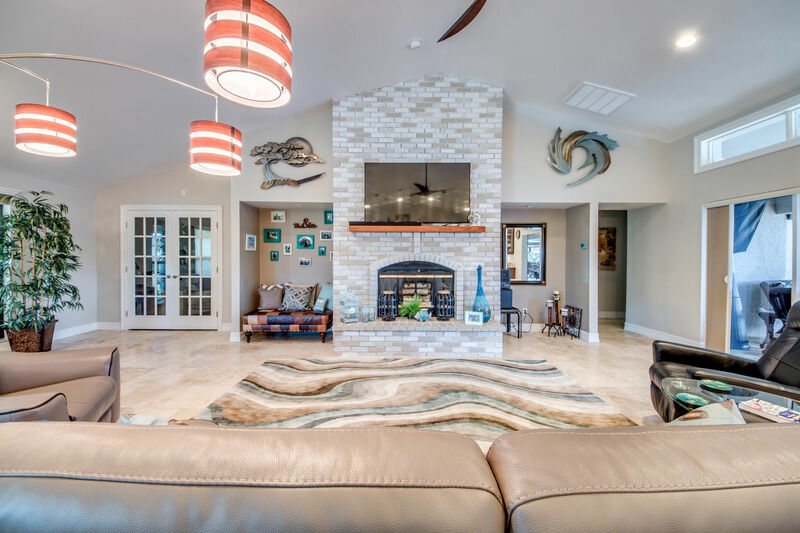 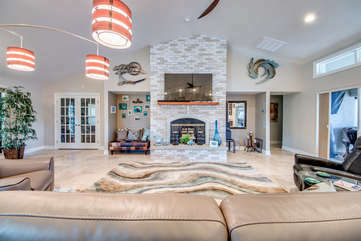 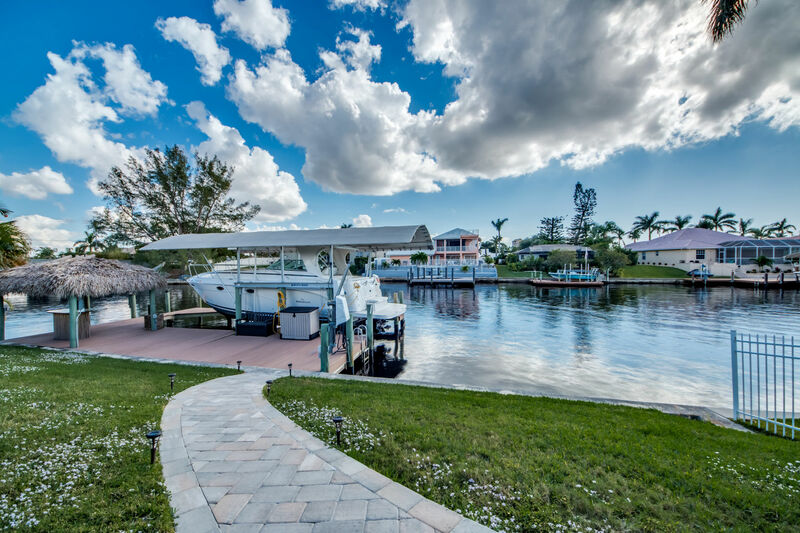 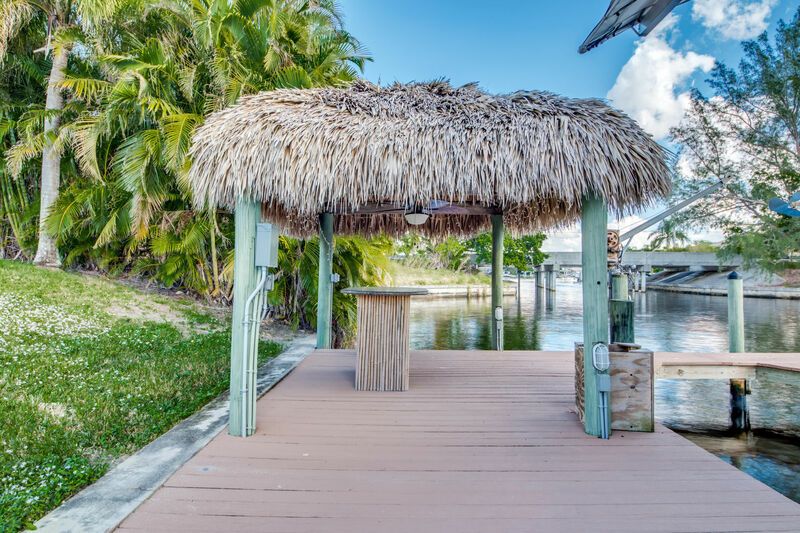 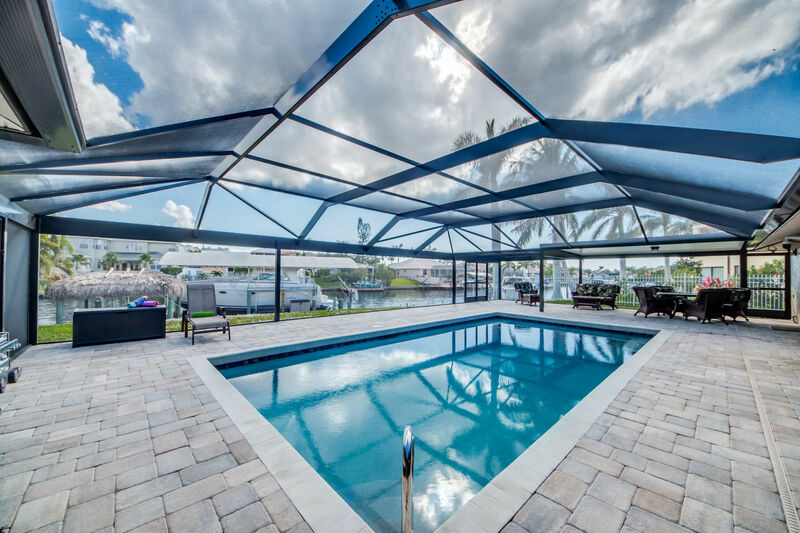 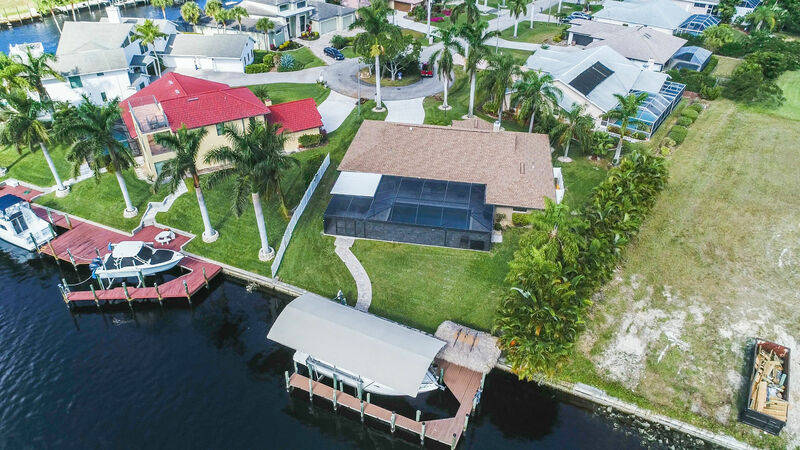 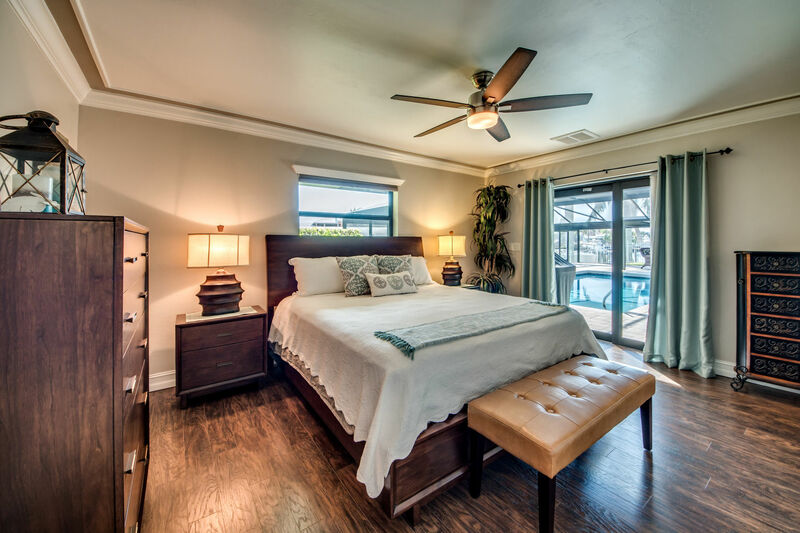 Imagine yourself vacationing on the best waterfront in SW Cape Coral. 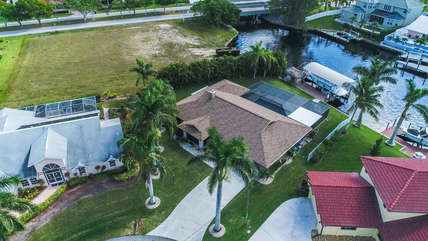 This home sits south of El Dorado Parkway on a 150' Wide canal and boasting a prized southern rear exposure. 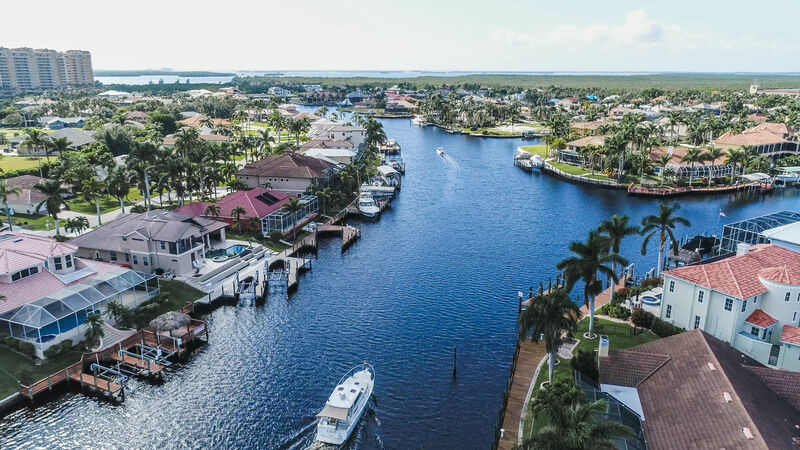 There are no bridges, no locks, no power lines as you navigate your vessel to the big water in just 5 minutes. 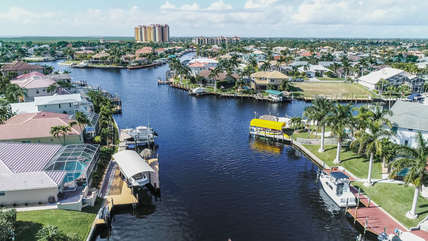 Bring your boat, rent a boat, sail your sailboat out to the gulf in quick time. This home with 4 bedrooms and 3 baths has room for your whole group. 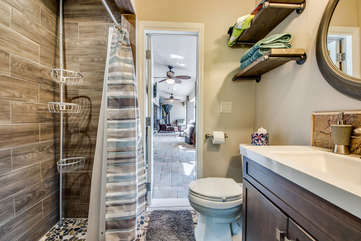 Easy to accommodate 8 people with lots of space for everyone. 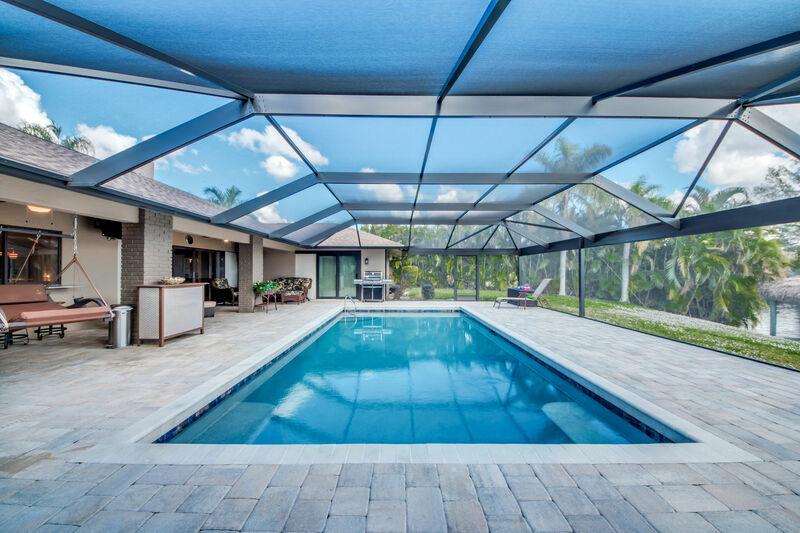 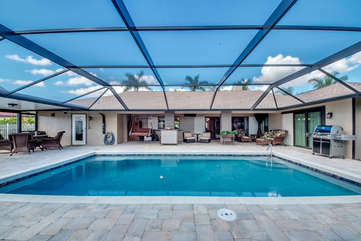 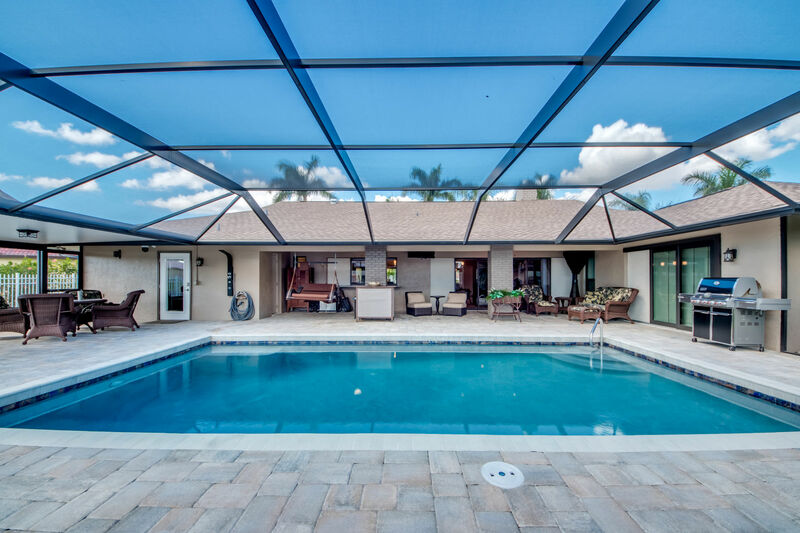 The large lanai and pool will delight you from morning to sunset with all day sun and gorgeous sunsets. Lanai seating to include comfortable lounging and dining area. 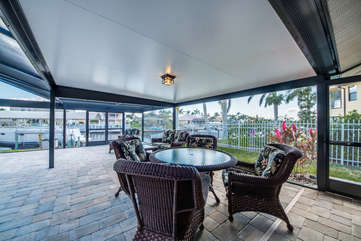 Gas BBQ and sun loungers for all your vacation needs. 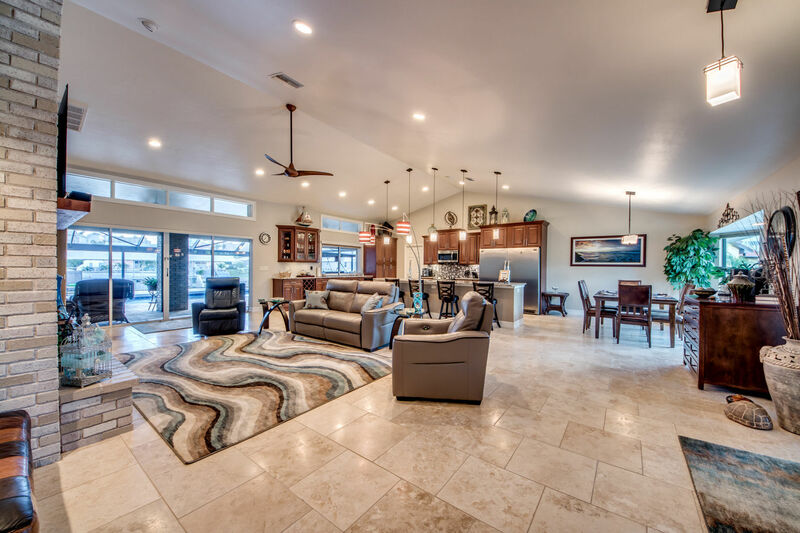 The huge open concept of the great room with soaring vaulted ceilings and wonderful common area living space. 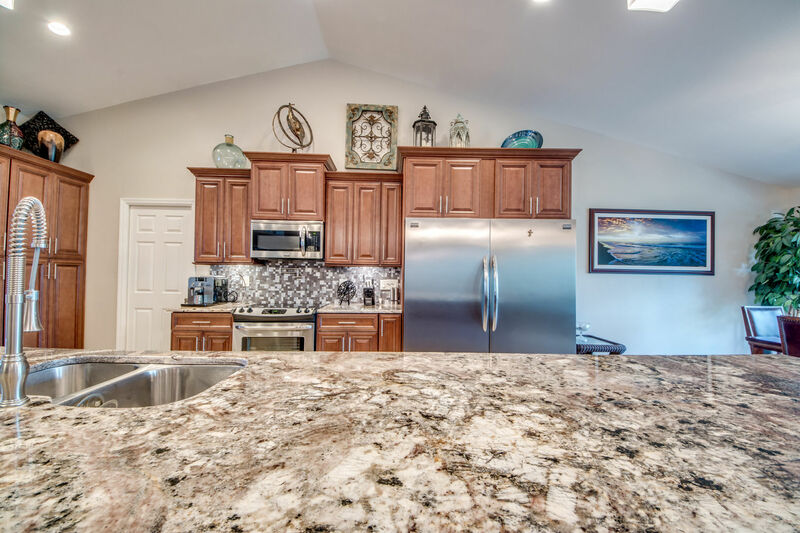 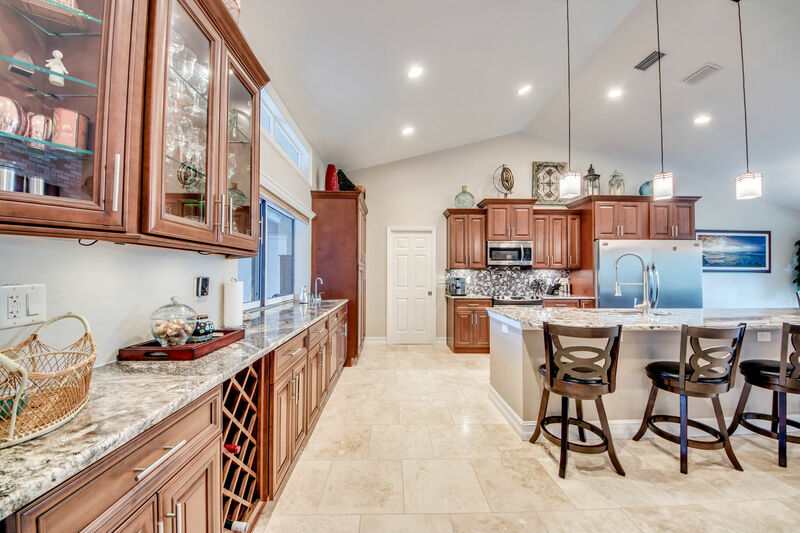 The well-equipped kitchen is a chef's dream. 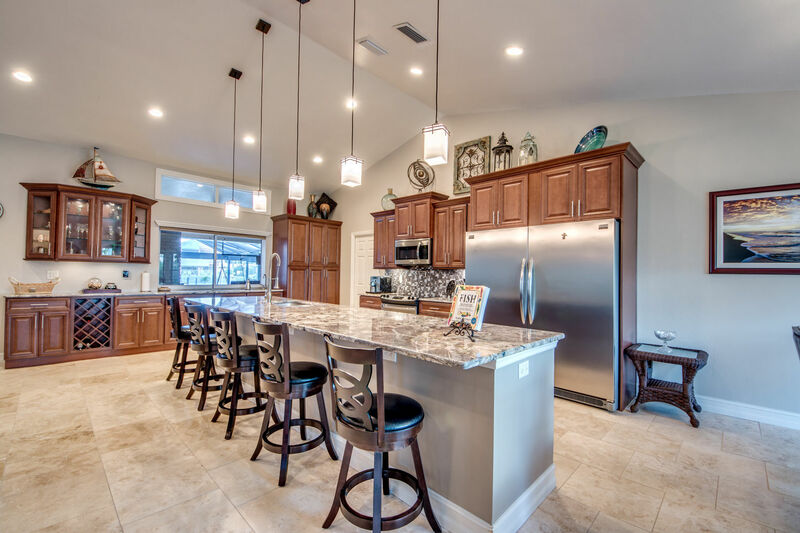 There is seating at the breakfast bar and the dining area can accommodate your group for those eat at home meals. 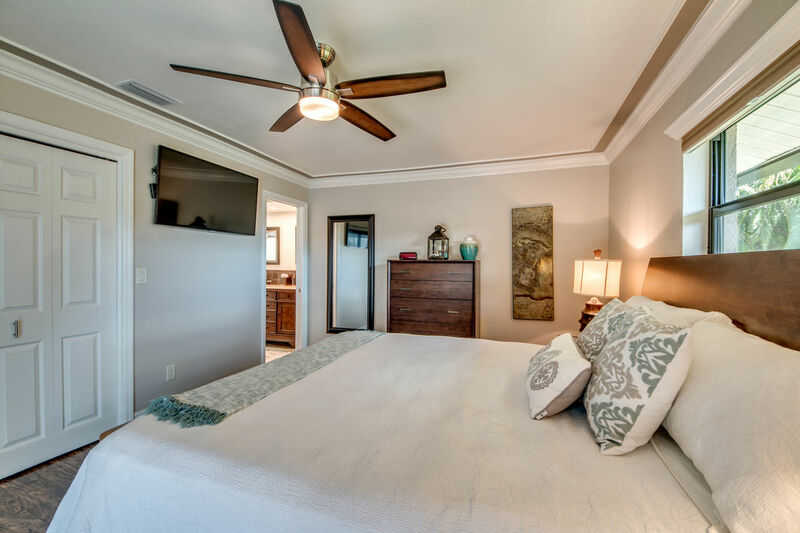 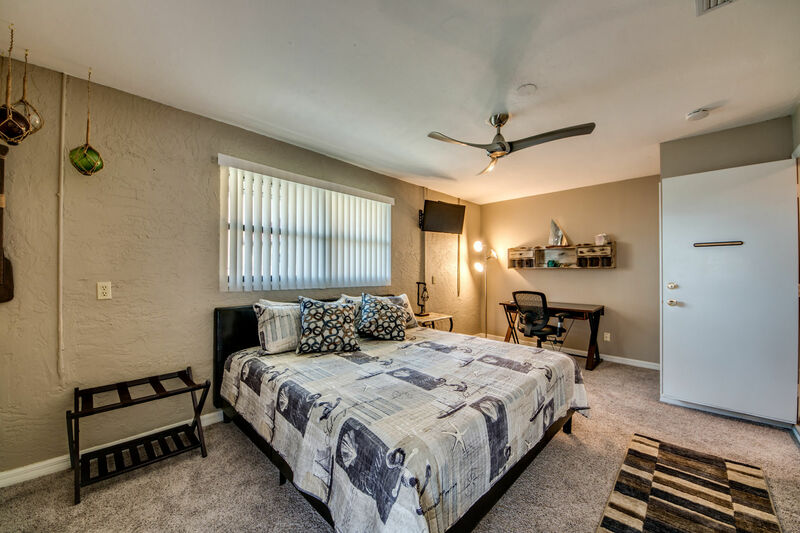 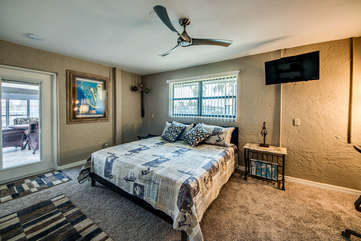 A king size master bedroom, flat screen TV, and direct lanai access. 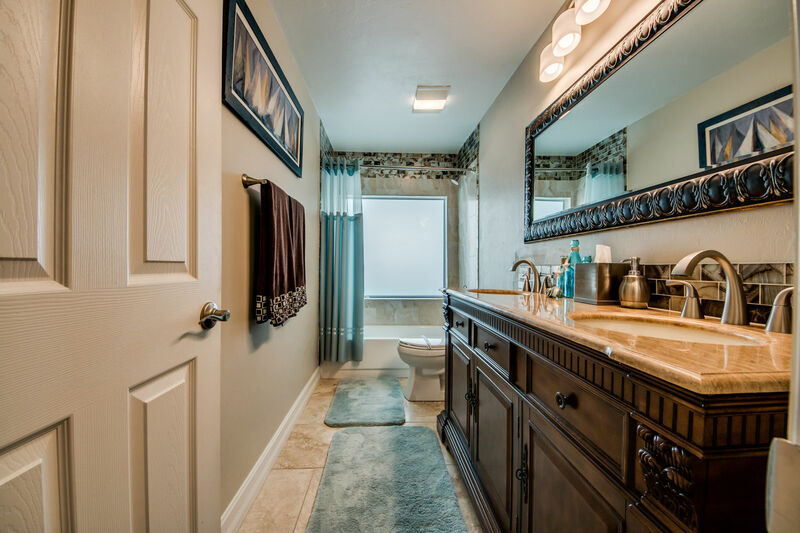 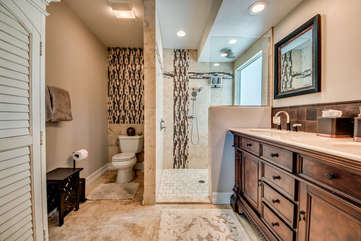 The en-suite bathroom with a walk-in shower, gorgeous tile, and dual sink vanity. 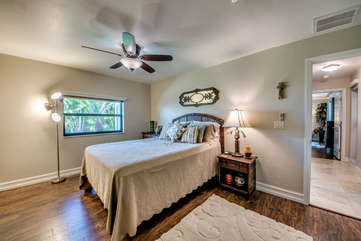 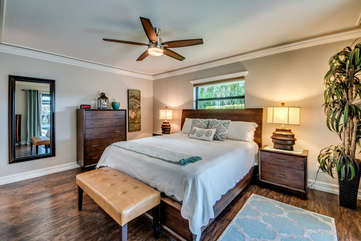 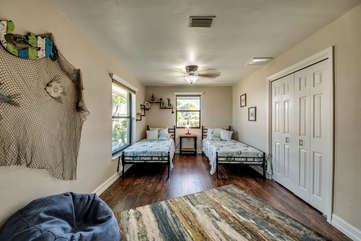 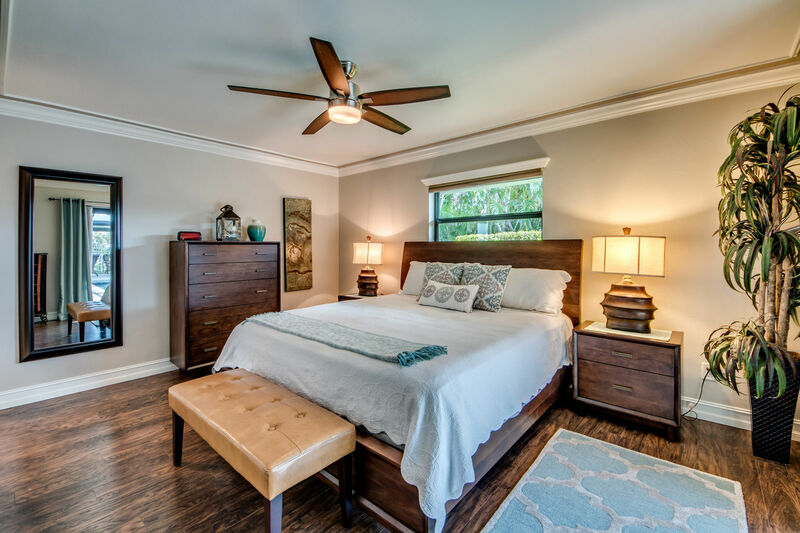 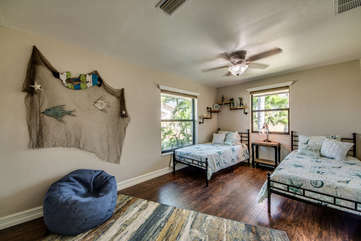 This home has a king size guest room, a queen size guest room and a guest room with two twin beds. Full-size guest bath and another pool bath offering a walk-in shower. A baby safety fence for the pool when you are bringing along the little ones! 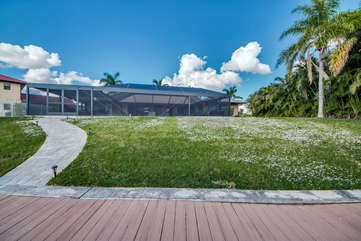 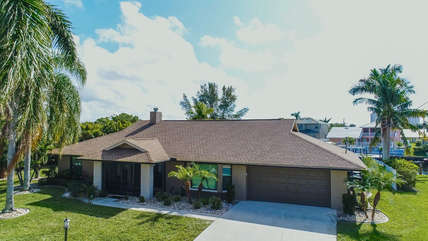 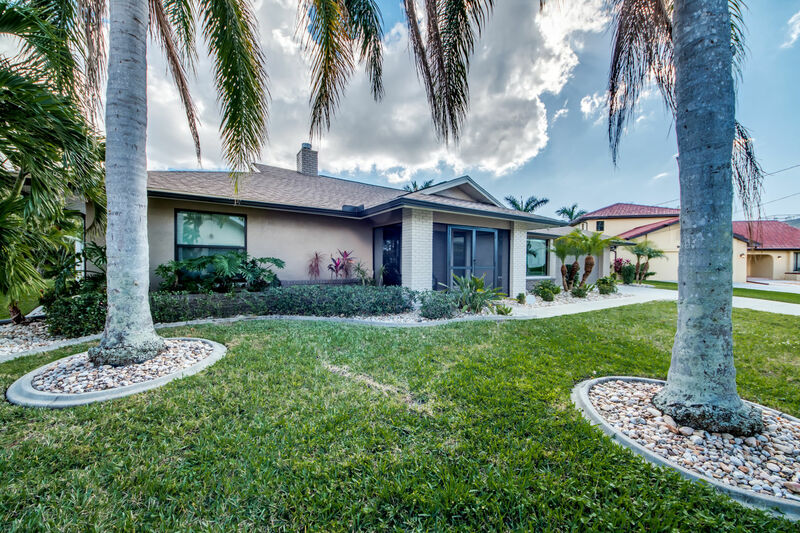 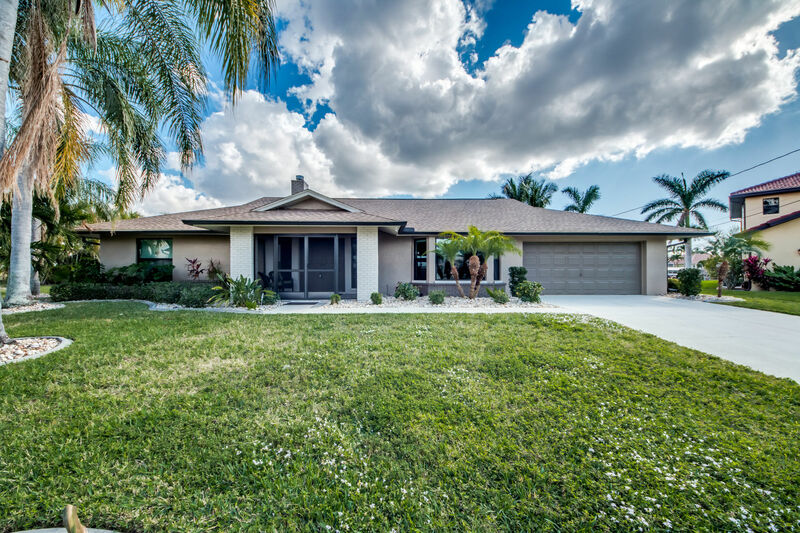 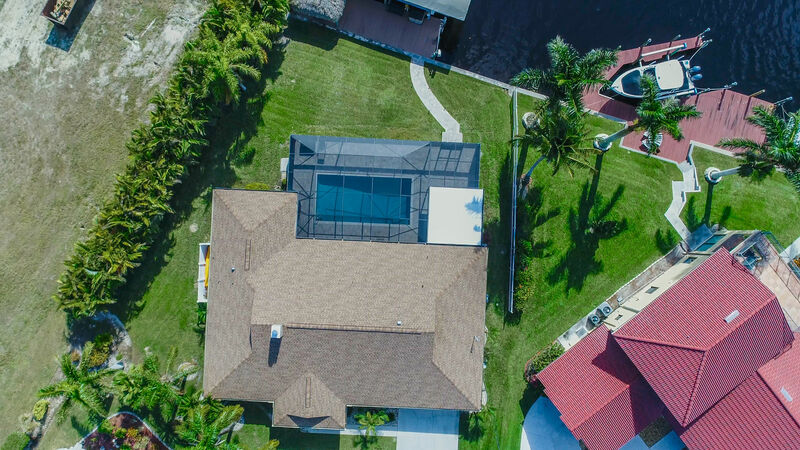 The home located in a quiet SW Cape Coral street sitting at the end of a cul de sac on this Royal Palm lined the street. 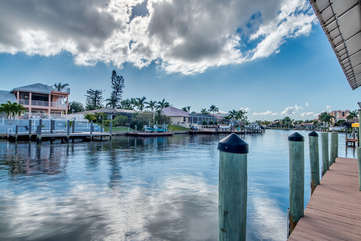 Only local traffic, just perfect quiet and easily accessible to stores, dining, and entertainment. Bike paths make it an easy walk to Tarpon Point restaurants, shopping, and Rotary Park. Pack & Plays (Portable Crib) and Highchairs are available with a small rental fee.